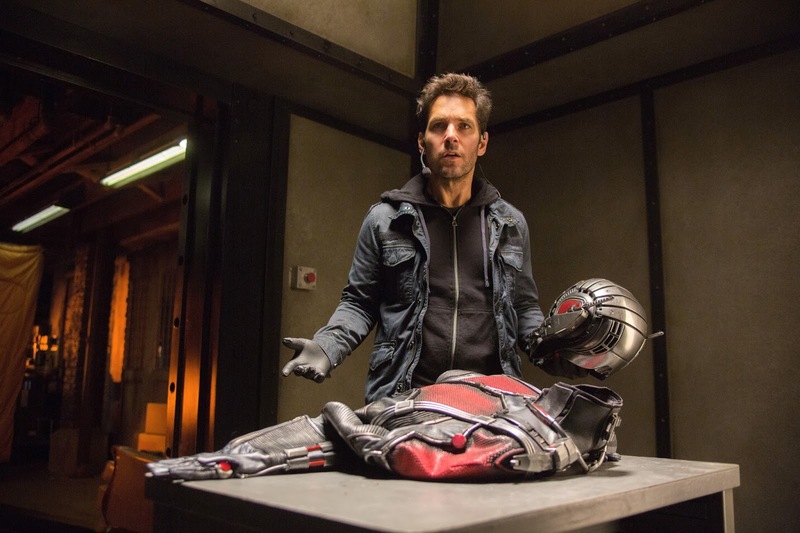 The reliably befuddled Paul Rudd, a natural buffoon who has occasionally shown a flair for drama, plays ex-convict Scott Lang, a talented engineer lured back into burglary by his buddies (Michael Peña and T.I.) as a shortcut to his estranged young daughter's heart. Lang's efforts to rekindle that broken relationship are juxtaposed nicely with those of reclusive scientist Hank Pym (Michael Douglas) to connect with his daughter, Hope van Dyne (Evangeline Lilly). Pym once protected the world as the all but anonymous Ant-Man. 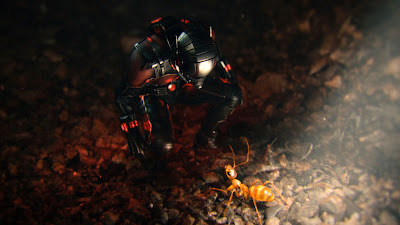 Hope and her dad recruit Lang to don the exo-skeletal suit that allowed Pym to shrink to microscopic size. This, in order to stop Pym's former protege Darren Cross (Corey Stoll) from weaponizing the shrinking technology and selling it to the highest bidder. In contrast to most Marvel Comics-based films, director Peyton Reed follows what the film's title seems to prescribe. 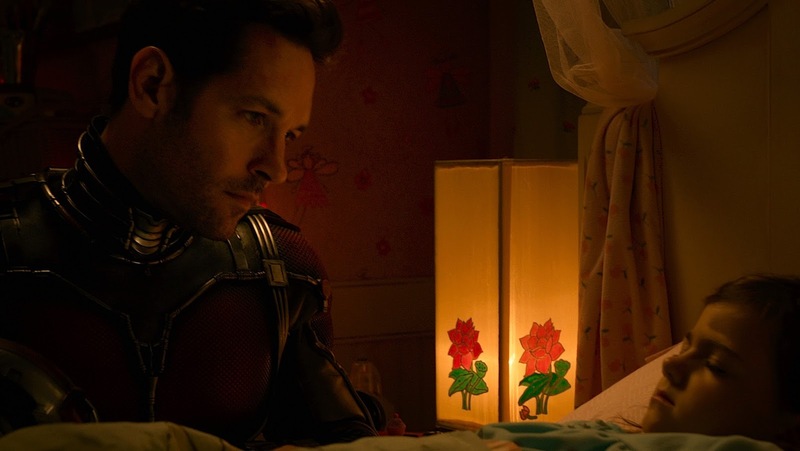 Instead of going grand and overwrought, Ant-Man goes small and intimate. 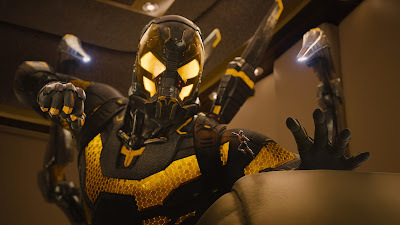 The confrontations between Ant-Man and the Yellowjacket, Cross's frightening version of Pym's suit, are often one-on-one and in domestic settings. Most of the drama is found in the thorny relationship between neglected daughter Hope and her often distracted father Hank, who she still hasn't forgiven for the death of her mother, the Wasp, a tiny superhero in her own right. Pym and Hope's relationship serves as a cautionary tale to Lang, who desperately wants to be all he can be for his little girl, as he tries to prove his worth to his ex-wife (Judy Greer) and her new husband (Bobby Cannavale), a cop. When Reed does cut loose then it is in the spirited montages following Pym and Hope coaching Lang on their suit's miniaturizing features. We watch as Lang takes the suit through its paces, exploring the world from his worm's-eye-view as he ducks and weaves through a room's nooks and crannies, excavates into an anthill's secret tunnels, and contends with all manner of insects which the suit's antennaed helmet now allows him to control. 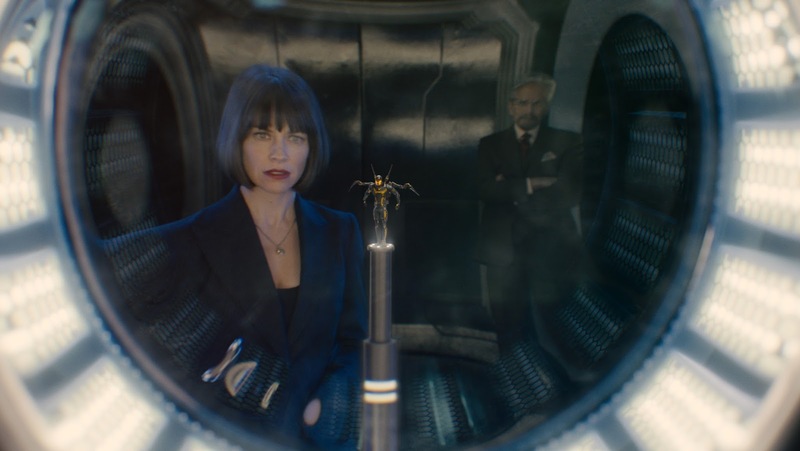 Reed also gleefully presents us a couple of fascinating flashbacks to a time when a young Pym (a digitally enhanced Douglas, looking no older than he did circa Romancing the Stone) fights to save the world as the original Ant-Man. It's this concept of legacies, the passing of mantles from fathers to surrogate sons (or alienated daughters) that gives Ant-Man a kind of inner life that hasn't been in much evidence in previous comic book films. For a genre where it is often so scarce, it's ironic to find such abundant soulfulness in a film about the tiniest of heroes. What Ant-Man lacks in physical largess it deftly makes up for in breadth of character. Watching it this weekend, it will be a change of pace to watch a super hero movie that isn't about saving the galaxy or the planet or the universe or whatever. Looks like a heartfelt piece of fun. Looking forward to those extra after credit scenes. Ant Man going to be release today and this will be one off the best movie that Marvel produce yet. Lovely review. I was very skeptical about this movie at first, but the more I read about it the more I want to see it. I really like the idea of a small and intimate Marvel movie...after the debacle that was "Ultron."